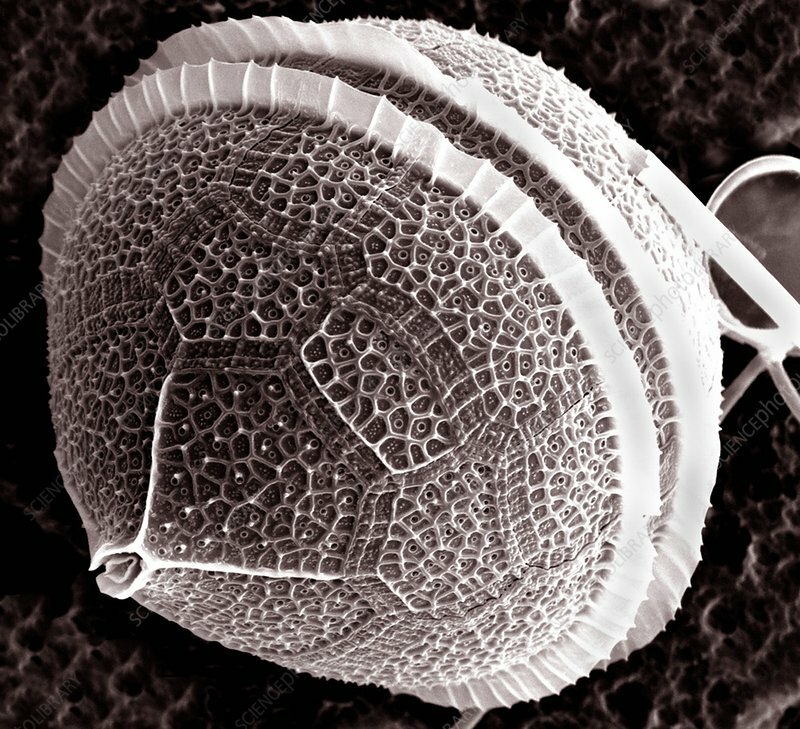 Dinoflagellate protozoan, scanning electron micrograph (SEM). Dinoflagellates are unicellular protozoans. About 90 percent are found in marine environments as plankton. They range in size from 2 millimetres to less than a hundredth of a milimetre across. Magnification: x2750 when printed at 10 centimetres across.